It is important to do our very best to prevent older adults’ falls, because they can have very negative consequences on physical as well as psychosocial health. 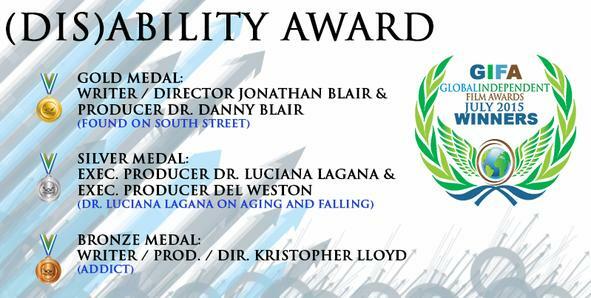 DR. LUCIANA ON AGING AND FALLING, a TV pilot by host/actor/writer/director/CSUN psychology professor Luciana Lagana (aka Dr. Luciana) received a total of three Silver Medal awards at the 2015 Global Independent Film Awards, for Best Web Series, Best Documentary, and Best (Dis)ability Film. Dr. Luciana co-wrote and co-produced this pilot with Del Weston, the show’s director. He is the creator of the Action on Film International Film Festival and TV shows that have aired on SPIKE TV, NBC and ESPN. “Among other subjects, I teach gerontology at CSUN and am happy to see that the topic of falling in older age is finally being recognized in the film industry. It is important to do our very best to prevent older adults’ falls, because they can have very negative consequences on physical as well as psychosocial health,” shared Dr. Luciana. (from the festival’s website): "The Global Independent Film Awards is an online awards competition dedicated to recognizing filmmakers and actors for high quality work. We recognize how difficult it is to make an exceptional film, and want to reward filmmakers for achieving success in different aspects of the filmmaking process. We receive all of our submissions online. They are then judged, and winners determined." 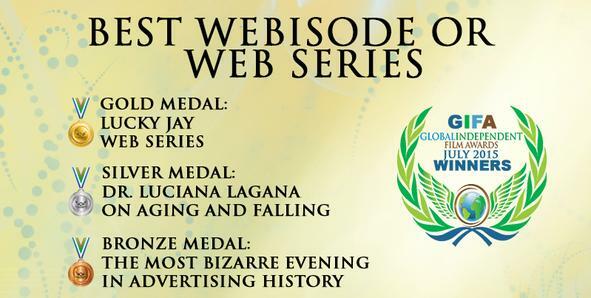 For a list of award winners, visit http://www.globalindependentfilmawards.com/announcements.html. Luciana Lagana is a caring clinical and experimental psychologist. She is also an established professor of psychology, gerontology, sexuality, and women’s health at California State University Northridge (CSUN), where she teaches classes and mentors many undergraduate and graduate students. Additionally, since 2002, she has been conducting government-funded research on ethnically diverse, primarily low-income older women’s physical, psychological, social, and sexual health. Concerning her artistic pursuits, since 2006, she has been studying acting, TV hosting, and filmmaking in Los Angeles. She is an award-winning actor/screenwriter/director with 44 IMDb credits for acting in many independent movies, web series, and TV pilots. 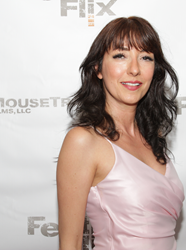 She also wrote, hosted, and directed the award-winning web series “Intimate Temp Agency,” as well as “Dr. 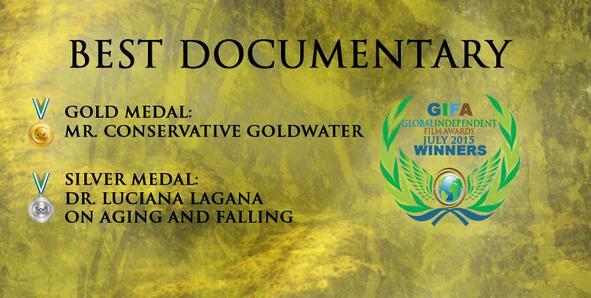 Luciana Show – Aging and Falling,” the winner of the best educational show award at the 2015 Houston Film Festival.